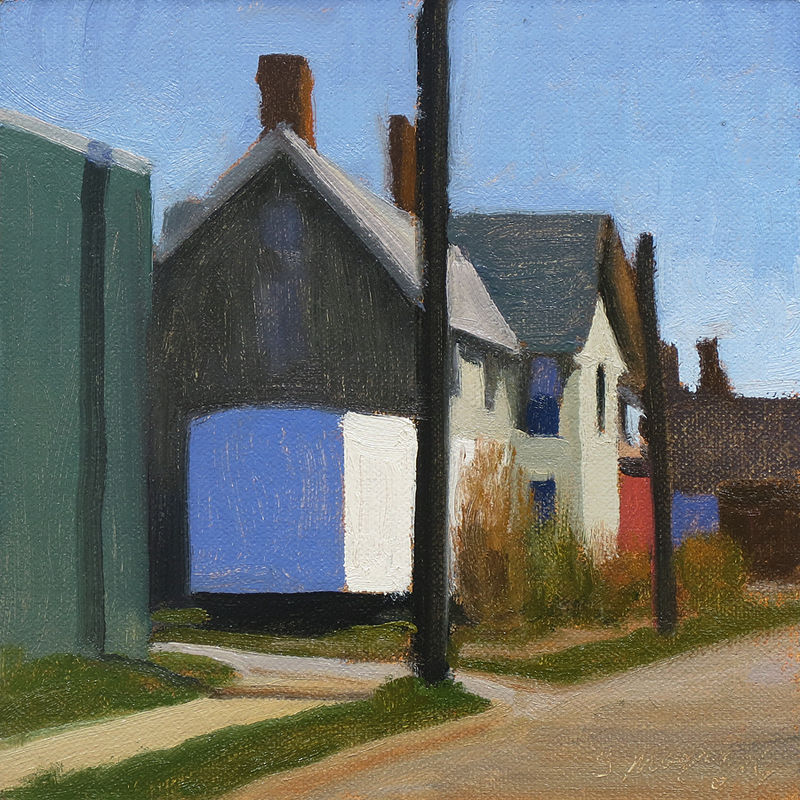 This urban landscape painting is a view of sunlight and shadows on an interesting St Antoine St building in Detroit. 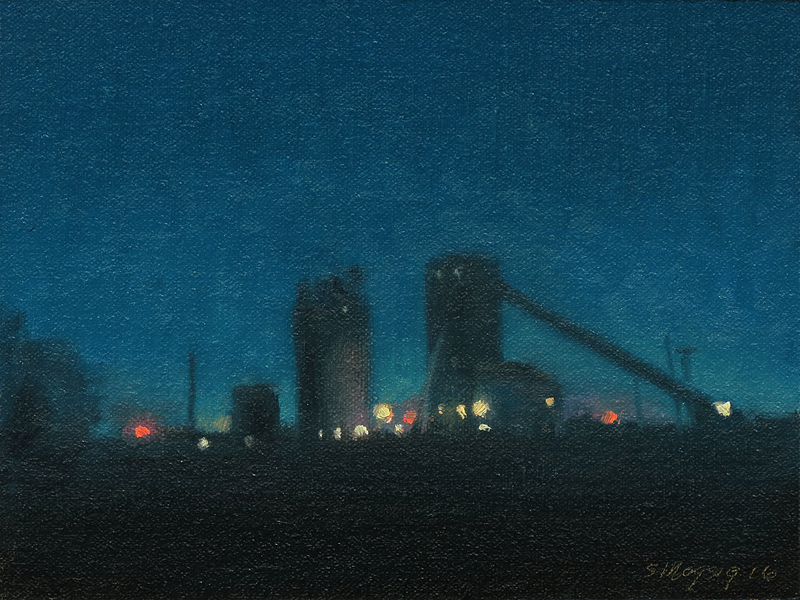 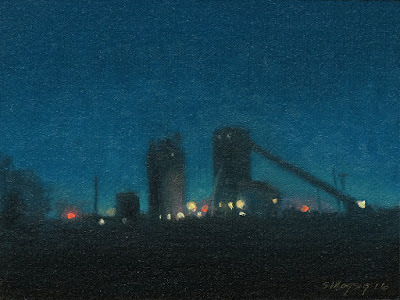 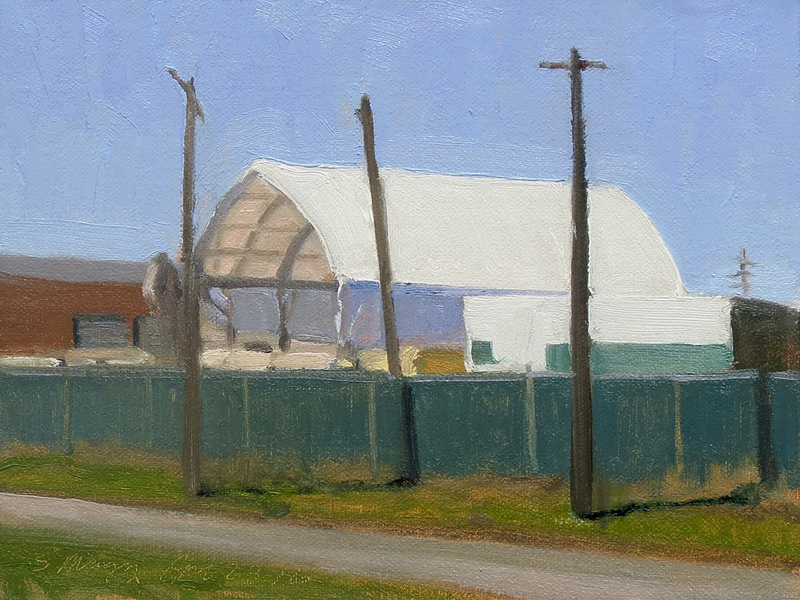 This industrial landscape painting is a nocturne view of industrial buildings along the Detroit river. 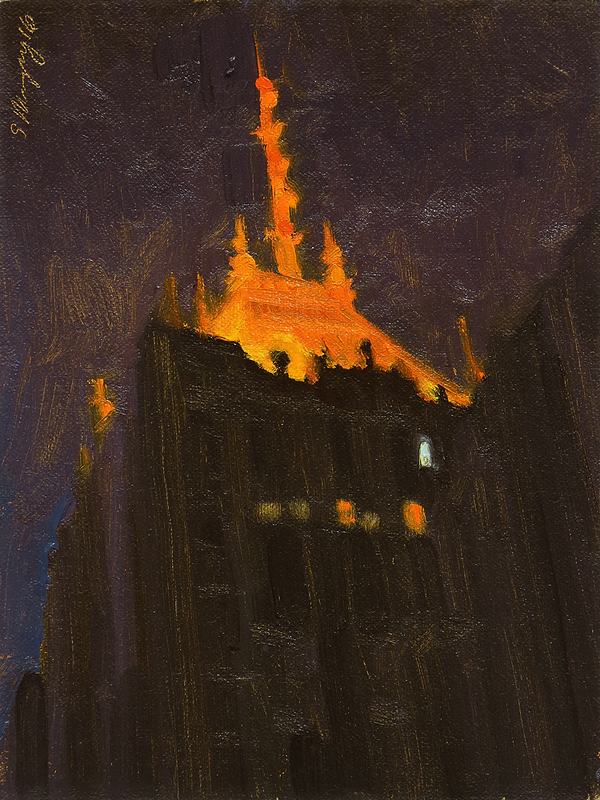 This urban landscape painting is a nocturne view of the beautiful Fisher building in the New Center area of Detroit. 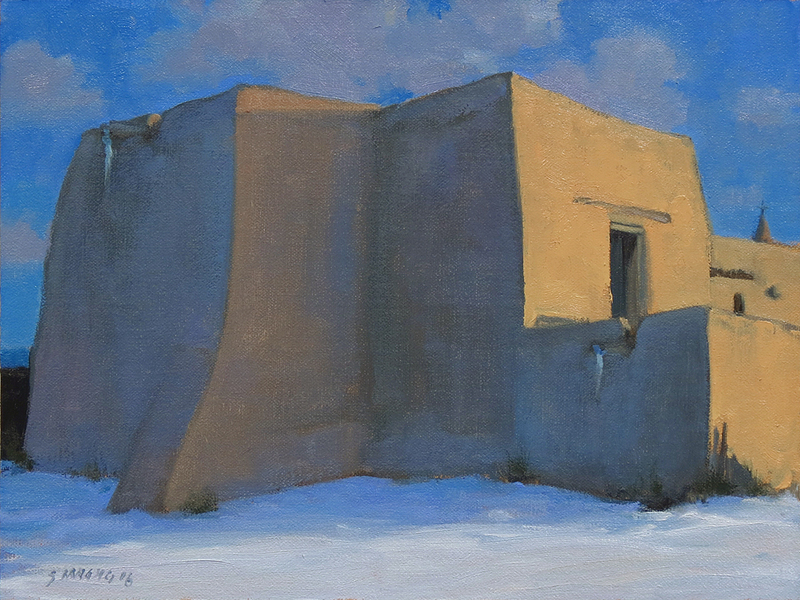 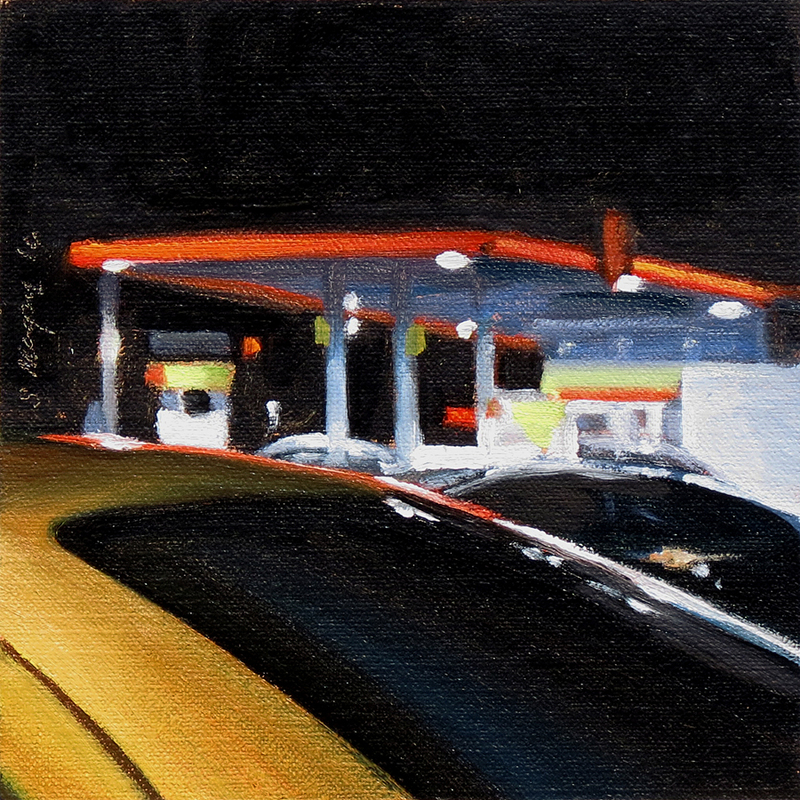 This painting "Evening Light Taos" done in oils on an oil primed linen Ray Mar panel. 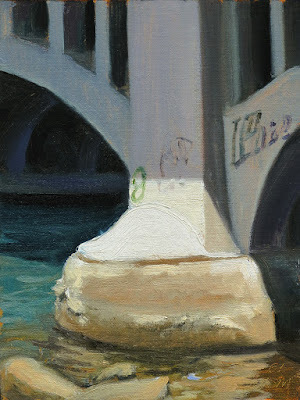 These studies are often used as reference for larger gallery paintings, some stand alone on their own merit.